Below you will find list of Top CBSE Schools in Jaisalmer 2019. A landmark institution of Golden City Jaisalmer, Kendriya Vidyalaya Border Security Force, Jaisalmer commenced its journey in the year 1996 coming under Defence sector. 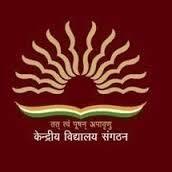 Kendriya Vidyalaya, AFS, Jaisalmer since its inception is being managed under the aegis of KendriyaVidyalayaSangathan.